We think it is really important that prospective owners of alpacas really get a feel for what's involved in alpaca ownership. As such, we run regular beginners days here at Spring Farm Alpacas in East Sussex. These days are run for a nominal charge (rebateable against a purchase of a Spring Farm alpaca) and you will learn about alpacas, alpaca husbandry and how they will fit into your life! The excellent facilities we have here mean we can run the course in rain or shine and most importantly in a relaxed and fun way. We are known throughout the UK and Europe for our handling techniques and you will get to meet some of our super friendly alpacas! We run a number of these beginners days throughout the year so even if the next date doesn't suit you, please contact us and we can put your name down for the next husbandry day we run. We also offer one on one husbandry days here at Spring Farm. These will appeal to existing owners looking to learn how to handle their alpacas better. We look to cover our costs for hosting a one on one husbandry day and offer this for only £75 plus VAT for a single person for a full day - or only £80 plus VAT for a couple for a day. If you think this might be of interest to you, please get in touch via email or call. Learning how to really relate and enjoy your alpaca experience is transformative! When we first bought alpacas we were disillusioned by their nervous demeanour and our lack of knowledge - and it is only through learning the techniques we now employ that we really started to appreciate alpaca ownership. 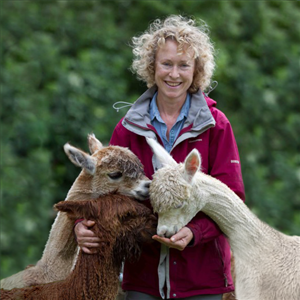 If you are struggling with your alpacas, contacting us and attending a husbandry day here at Spring Farm may just change your entire alpaca experience! No matching events listed under Husbandry Days. Please try viewing the full calendar for a complete list of events.